Last week’s top-gaining mining stocks on the TSX were Black Iron, Talon Metals, Euro Sun Mining, Forsys Metals and Laramide Resources. The S&P/TSX Composite Index (INDEXTSI:OSPTX) remained almost neutral last week, increasing 0.3 percent to close the five day period ended Friday (April 5) at 16,361.24. The index opened higher on Friday, hitting a seven month high on the back of gains for energy stocks. Looking over to commodities, gold prices slipped on Friday, while silver was up slightly. Meanwhile, base metals prices were a mixed bag, with zinc prices surging on the back of supply worries. Toronto-based Black Iron is focused on advancing its 100 percent owned Shymanivske project, located in Kriyvyi Rih, Ukraine, to production. According to a preliminary economic assessment, the first build phase entails production of 4 million tonnes per year of ultra high grade, low impurity, 68 percent iron concentrate. It should be expanded to 8 million tonnes per year starting in the third year of production. Black Iron closed a private placement on Friday. The company’s shares increased 33.33 percent during the five day period to reach C$0.08. 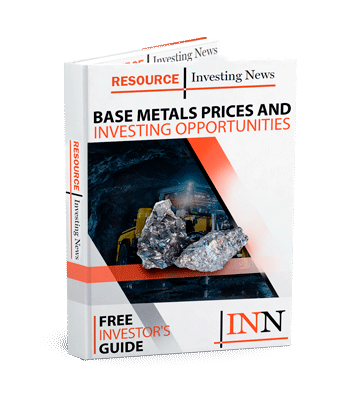 Talon Metals is putting all its efforts into developing the Tamarack nickel–copper–cobalt project in Minnesota, US. The company aims to produce Class 1 nickel, which is required for batteries for the electric vehicle and stationary battery markets. Talon did not release any news last week, but the company’s shares saw an increase of 26.32 percent over the week to reach C$0.12. Euro Sun Mining is focused on its Rovina Valley gold-copper project located in West-Central Romania. The property hosts 10.11 million gold equivalent ounces — 7.05 million ounces of gold grading 0.55 grams per tonne and 1,390 million pounds of copper grading 0.16 percent. Last week, Euro Sun Mining did not release any news, but shares of the company jumped 25.45 percent to close the five day period at C$0.69. Emerging uranium producer Forsys Metals owns the Norasa project in Namibia. The company completed a definitive feasibility study in March 2015, which increased mineral reserves from 79 million pounds to 90.7 million pounds. Forsys also holds a 100 percent interest in the Namibplaas project. Shares of Forsys Metals saw a spike of 25 percent to close the five day period at C$0.25. Toronto-based company Laramide Resources has diversified uranium assets in the United States and Australia, and it recently acquired the Church Rock and Crownpoint properties in the US. Additional US assets include La Jara Mesa in Grants, New Mexico, and La Sal in the Lisbon Valley district of Utah. In Australia, the company is advancing the Westmoreland asset, which is one of the largest uranium projects currently held by a junior mining company. Laramide shares saw an increase of 23.53 percent to close the five day period at C$0.42. Data for 5 Top Weekly TSX Stocks articles is retrieved each Friday at 10:30 a.m. PST using TradingView’s Stock Screener. Only companies with a market capitalization greater than $50 million prior to the week’s gains are included. Companies within the basic materials and energy sectors are considered.